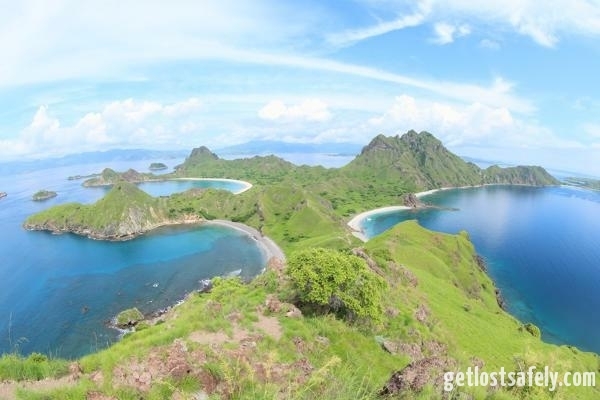 Padar Island, Komodo National Park is my number 1 must visit place from 7 Destinations to Visit in Labuan Bajo. As you might know already that I like to photograph the nature, the scenic view here is out of the world. 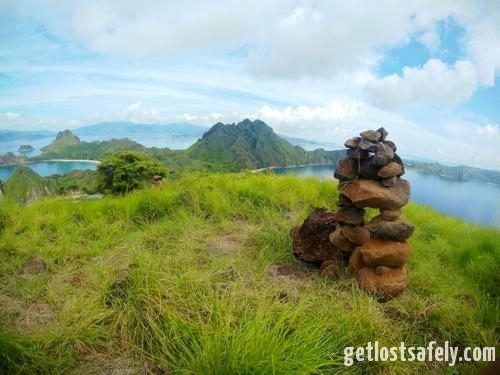 You will find the untouched nature beauty on land as well as the underwater world in Komodo National Park. 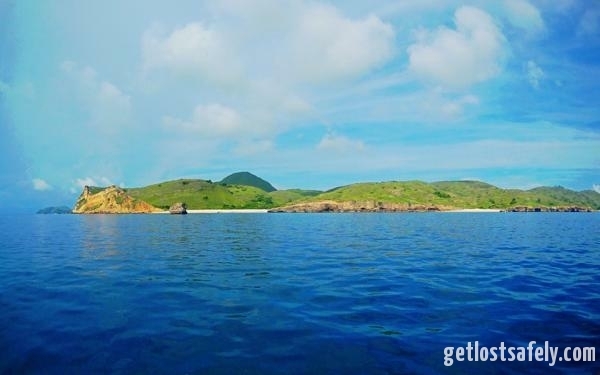 Hence, I nominate Padar as the best place for scenic view around Labuan Bajo. The island is located between Komodo Island and Rinca Island. It’s the 3rd largest island in the Komodo National Park after the other islands I’ve mentioned, East Nusa Tenggara Province, Indonesia. 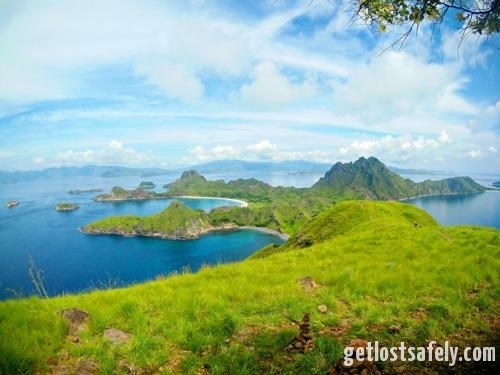 Padar Island is part of the Komodo National Park and crowned as the UNESCO World Heritage Site. There are 3 or 4 islands around Padar. I’ve read all around internet that nowadays no longer Komodo Dragon lives on the island due to the illegal hunting and lack of food. While on my Komodo Trip, the guide said that based on their data there should be 3 Komodos living on Padar Island. As I’ve told you several times already, the travel cost is depending on your traveling style. Yet the cheapest is to join the travel agencies in group. 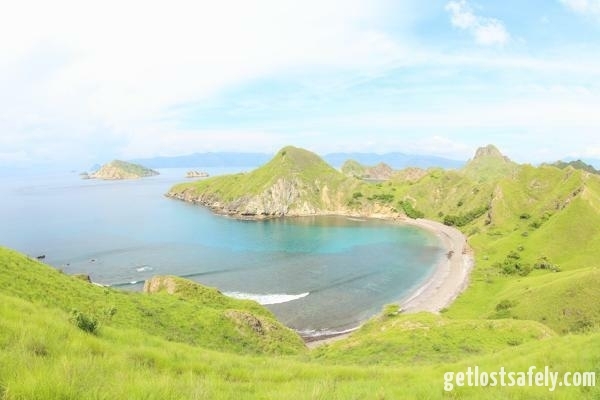 I did 1 day trip to Padar Island, Komodo Island, Pink Beach and Manta Point for 500.000 IDR (35 €) per person together with the other 5 travelers. I was traveling there with Bule Tours & Travels. The price was including mineral water, lunch and snorkeling equipment. 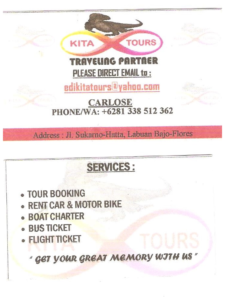 Another travel agency you could use is Kita Tours, the guy Carlose is really friendly. The price was also the same as Bule Tours & Travels, but since Kita Tours replied my message too late, then I decided to go with Bule Travels. Actually you can really deal the price with the agency. More people on board means cheaper price you will get. 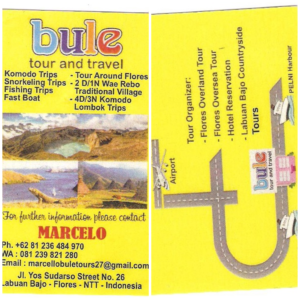 Bule Tour and Travel. Phone number: +62 81 236 484 970. WhatsApp Num: +62 81 239 821 280. Email: marcellobuletours27@gmail.com. Address: Jl. Yos Sudarso Street No.26 Labuan Bajo – Flores – NTT – Indonesia. 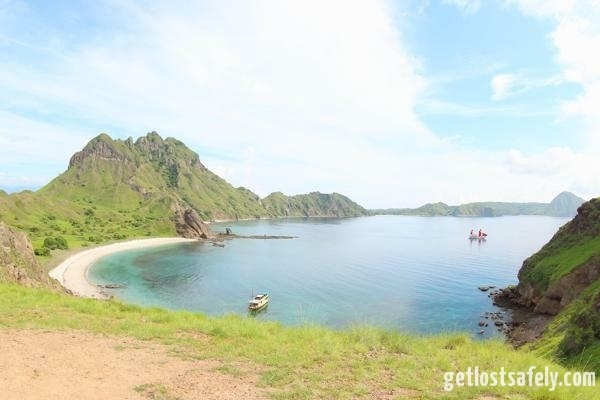 First of all, you have to go to Labuan Bajo, East Nusa Tenggara, Indonesia. 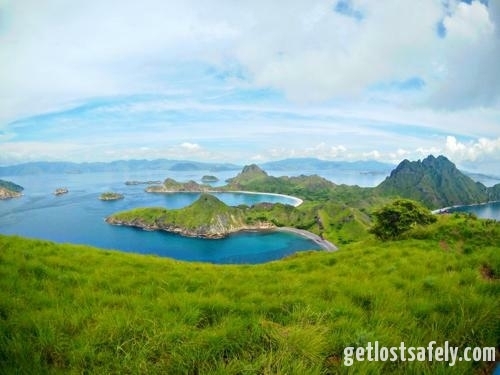 This article will help you Is It Really Expensive to Go to Labuan Bajo, Indonesia? The only way to get to Padar is by boat. There are plenty of travel agencies that offer the Padar trip in Labuan Bajo, or else you can rent fisherman boat at the harbor. 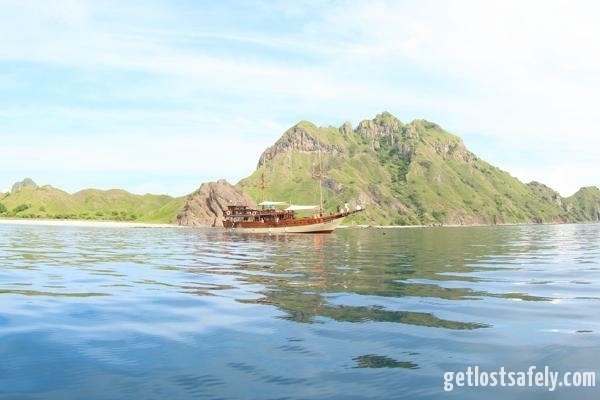 It takes around 3 to 4 hours to Padar from Labuan Bajo, depending on the type of your boat. I thought that the journey would be so boring. I mean 4 hours on boat? But I was totally wrong. Along the way I was sooo amazed by the landscape. Blue water and islands just like in Jurassic park spoil my eyes. I woke up really early and ready for the journey at 5.30. But because of the other late travelers, we started the trip much later and arrived on the island around 8.30 in the morning. Lots of boats were anchoring around the island when we arrived. So we hurried up and get ready to wander on Padar Island. As you might already know, hiking is crucial here. So we went uphill. It was a bit easier with the wooden stairs in the beginning of the way. But then you have to hike up on a small path. The hiking is not so heavy for regular mountaineer but for a newbie it could be a bit challenging. The island was so quite. It’s like seeing to the past where human being was not the most successful species on earth. I love it. It’s the ideal vacation I could imagine. I don’t really like crowded place. 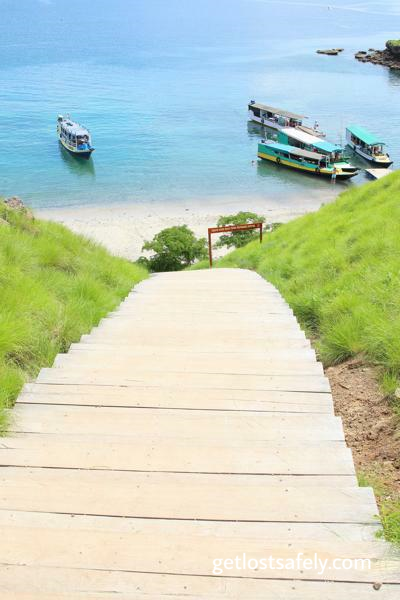 So at the end of the stairs, you could already see another sandy beach of the island. I kept going up to see the famous scenic view. On the way up, I saw those nice shaped stone stacks. I finally did it, I saw the popular three sandy beaches in different color. There were some trees where you can take shelter under them. But the temperature was really hot. 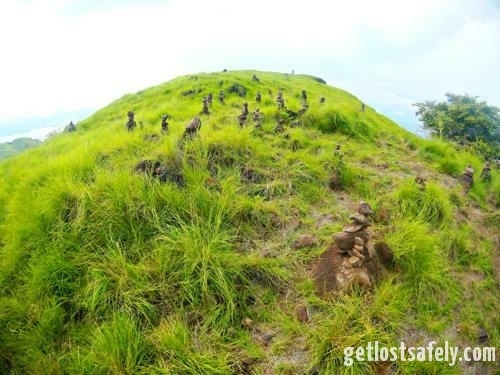 For more photos, please visit our Photo Gallery Padar Island. Another thing you can do is to swim at beach to cool yourself down after the hiking. It’s really hot there and swimming really help, yet will burn your skin. I don’t mind getting some sunburn though. Don’t go here at noon, it was horribly hot there. Even at 9 o’clock in the morning. The best I heard is to go here on the afternoon for the sunset. Or you can go in the morning as I did. It will be a bit hot, but I handled that. Put on some sun screen to protect your skin. Believe me, you’ll need it. Take enough water with you. It’s really hot and you can’t buy anything anywhere in Padar. It’s better to bring more water from Labuan Bajo. You will get some from the agency but it might not be enough for you. Prepare breakfast that you can take with from the night before and go sleep earlier, you need to full fill your energy for the hiking. Take back your garbage, left only your footstep. Put on some comfortable shoes. If you have any, put on your hiking shoes. Bring fully charged camera and enough memory. Here are some more photos of Padar Island. You might like the article about another similar scenic destination in Papua. Wayag Karst Archipelago, Papua. 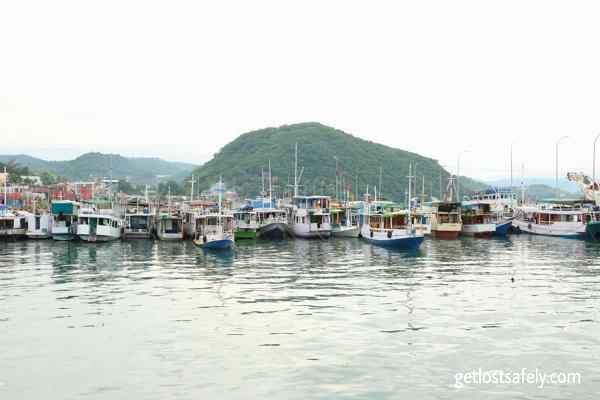 For other places to visit in Labuan Bajo click here, 7 destinations to visit in Labuan Bajo.